House plants are amazing at breathing life and interest into your interiors. But, the effect is just as magical if your plants are faux too! An essential for styling our homes the Faux Eucalyptus Stem provides an amazing, realistic alternative to the real deal that will suit even the busiest households! The lovely faux green plant stem measures 7cm in length x 5cm in width x 64cm in height and is made from plastic. 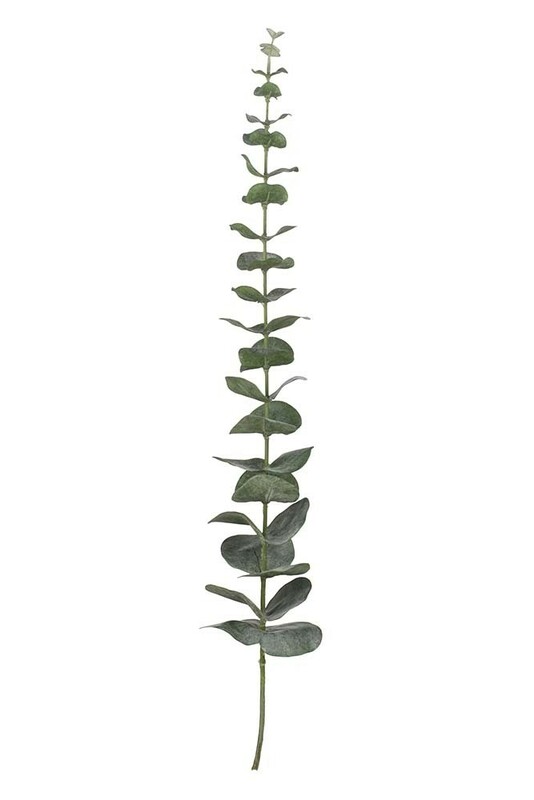 The ideal solution for anyone (ourselves included) that loves houseplants at home but struggles with keeping them alive, the Faux Eucalyptus Plant Stem recreates the beauty of Eucalyptus stress-free! Proven to help reduce stress levels at home, our faux Eucalyptus Stem has the same mood-boosting effect and beautiful texture as a real deal and we’re pretty confident most people won’t even be able to spot the difference! 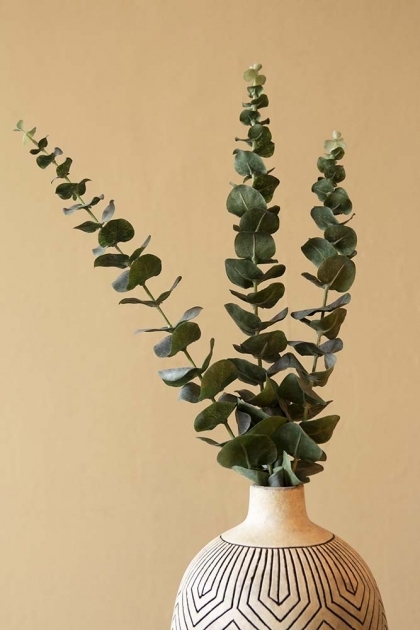 The perfect faux plant for narrow top vases such as a bottle vase, the Faux Eucalyptus Stem can be styled to suit your individual identity at home. For modern aesthetics opt for a few stems in a coloured glass vase or for a more dramatic look, opt for a large long stem bottle vase instead.